Good Fences make Good Neighbors. You may have heard the saying before. But what you may not know is that the emphasis should be put on GOOD fences. While any fence may give you your privacy and keep your neighbor at bay, a bad fence may actually cause more friction between you and your neighbor. You don’t want a fence dispute on your hands. Property Lines: First and foremost, before starting any fencing project it is important to know your property lines. The last thing you want to do is build a fence on your neighbor’s property. That probably wouldn’t go over so well. Fences are usually installed a foot inside your property line just to be safe. Homeowners Association (HOA): Homeowner’s Associations typically have very strict rules when it comes to fences, especially when it comes to height and placement. Following HOA regulations in your community will help you avoid a dispute. Notice: Give your neighbor notice of your upcoming fence installation. The construction may be disruptive, so it is polite to let them know. Not only is it a courtesy, but having a quick conversation about the fence with your neighbors can help avoid future disputes. Maintenance: Keeping up with the regular maintenance of your fence is the best way to extend the longevity of the fence. If you are interested in a new fence, contact Hercules Fence of Northern Virginia today! We pride ourselves on installing high quality fences at affordable prices, from wood and vinyl to aluminum and, of course, steel. As Virginia’s largest fence company, we are able to buy the fence you want at a price you will love. 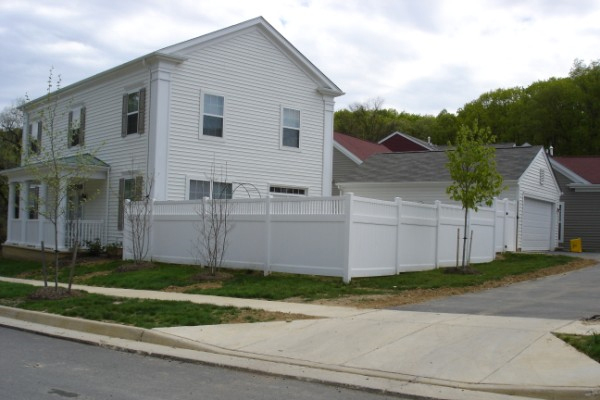 If you have any questions about our blog, “Good Fences make Good Neighbors,” please contact Hercules Fence of Northern Virginia today by calling (703)551-2609 or visiting our website. Also, check out Hercules Fence of Manassas on Facebook,Twitter, Google+ and YouTube! This entry was posted on Friday, October 11th, 2013 at 1:32 pm. Both comments and pings are currently closed.